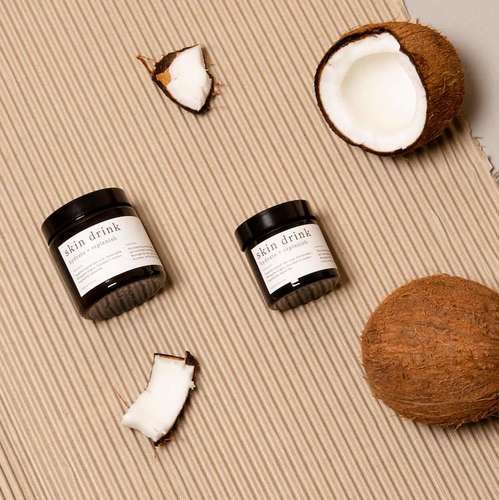 Luxurious 100% natural body scrub & skin conditioning 3 in 1 treatment hand blended with certified organic and refined coconut oil and mineral rich hand harvested sea salt stored in eco-friendly packaging with British made glass jar and metal lid. 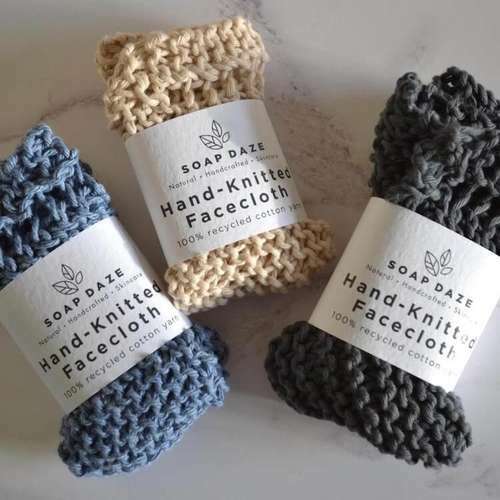 This versatile natural beauty product can be used as a body exfoliant, bath soak and rich moisturiser, making it a lovely gift or to treat yourself to a relaxing night in! UP - Energising and uplifting scent perfect for the morning routine with purifying Lemon Eucalyptus, Spearmint, Rosemary & Cedarwood. 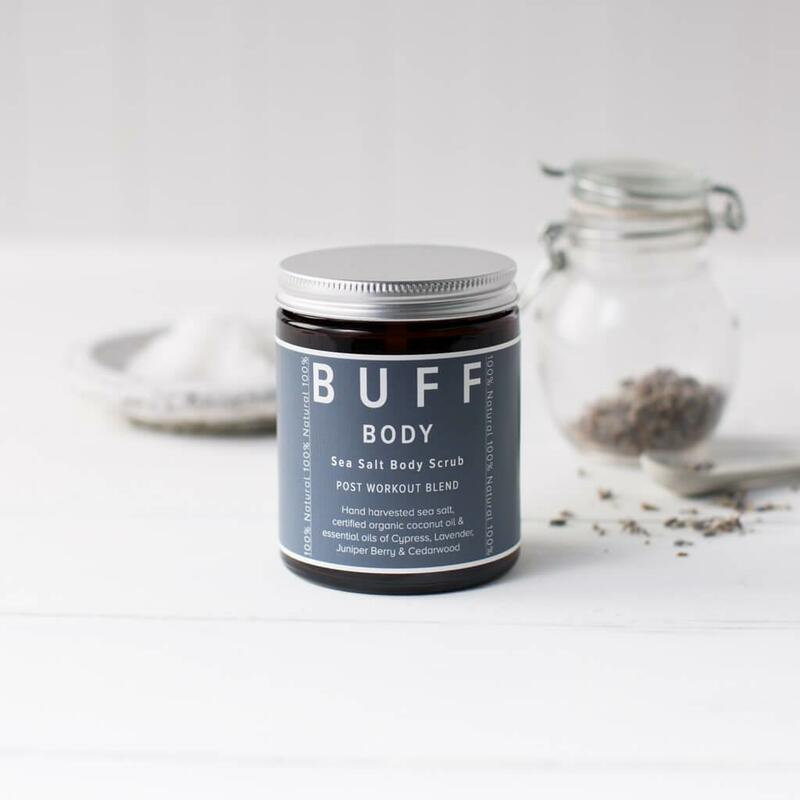 BODY - Perfect post-work out blend formulated with rejuvenating and detoxifying Juniper Berry, Cypress, Lavender & Cedarwood. NUIT - For calm before bed with stress-relieving Palma Rosa, Bergamot, Ginger and deeply relaxing Patchouli & Sandalwood. NAKED - Rich and exotic blend of Clary Sage,Rosewood, Ylang Ylang & sensuous Sandalwood. MAMA - Gentle and nurturing with Mandarin, Lavender and comforting/tranquility inducing Frankincense. Two sizes available - 60ml & 170ml. 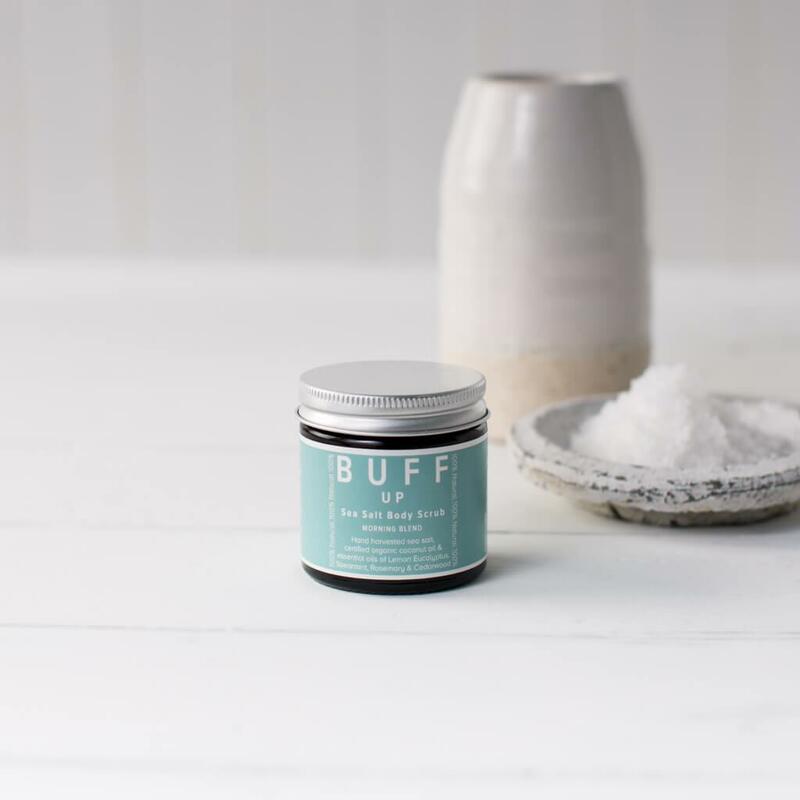 Ingredients (base) - Certified Organic Coconut Oil, Grapeseed & Hand Harvested Sea Salt. UP - Essential oils of Lemon Eucalyptus, Spearmint, Rosemary & Cedarwood. BODY - Essential oils of Cypress, Juniper Berry, Lavender & Cedarwood. NUIT - Essential oils of Bergamot, Ginger, Palma Ros, Patchouli & Sandalwood. NAKED - Essential oils of Clary Sage, Rosewood, Ylang Ylang & Sandalwood. MAMA - Essential Oils of Mandarin, Lavender & Frankincense. 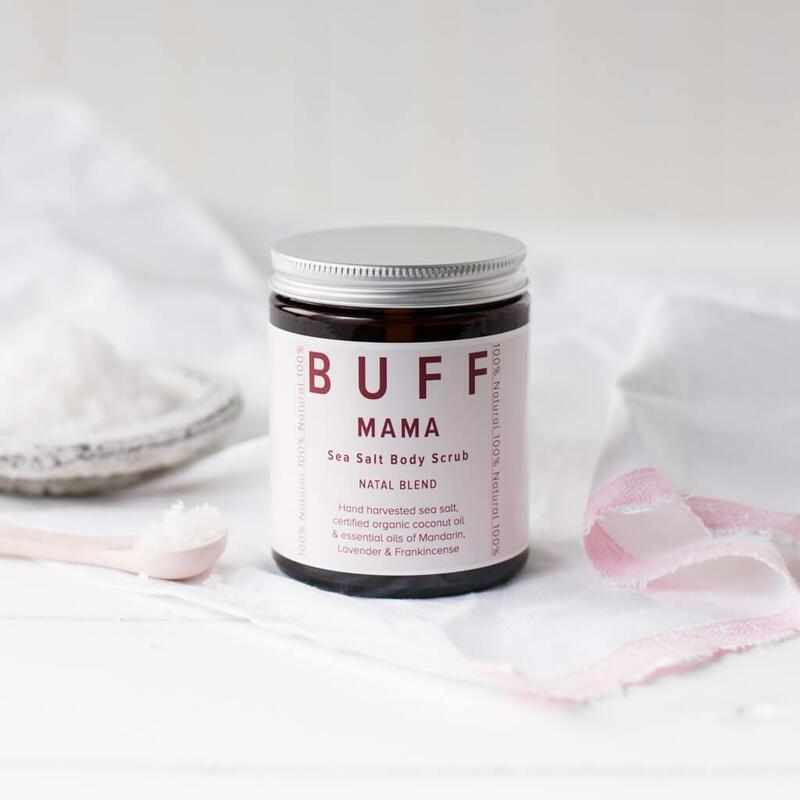 Please note these products are not recommended by Buff for sensitive skin. Product Packaging - British amber glass jar, British recycled aluminium lid. 99% plastic-free (small protective seal is plastic). 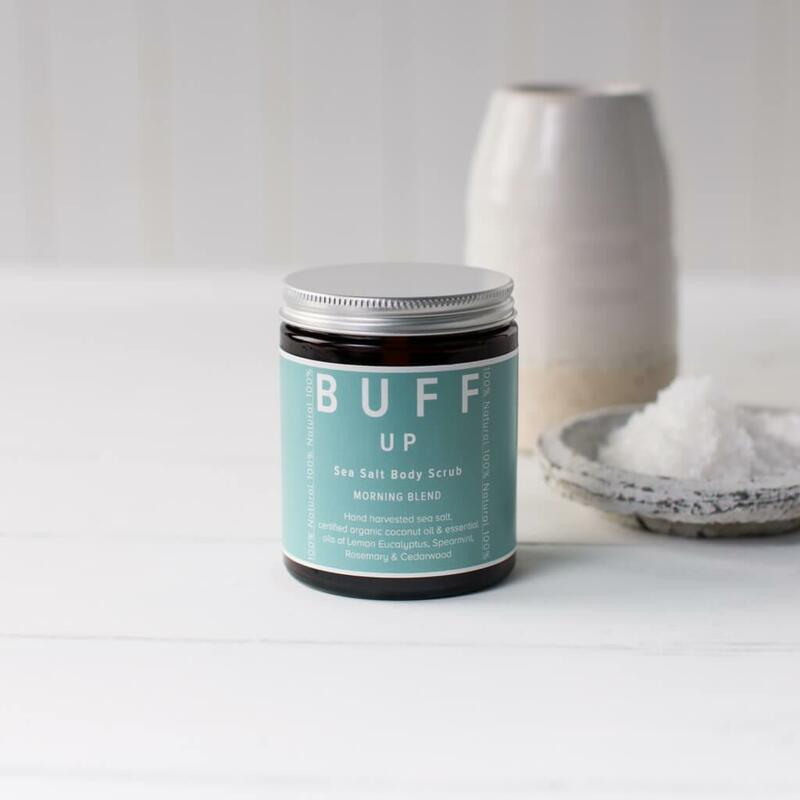 Buff Natural Bodycare is founded by Jo Woolvett, an aromatherapist who wanted to use her passion to create 100% natural and zero waste beauty products which are both kind on our skin and bodies whilst being kind to our planet. 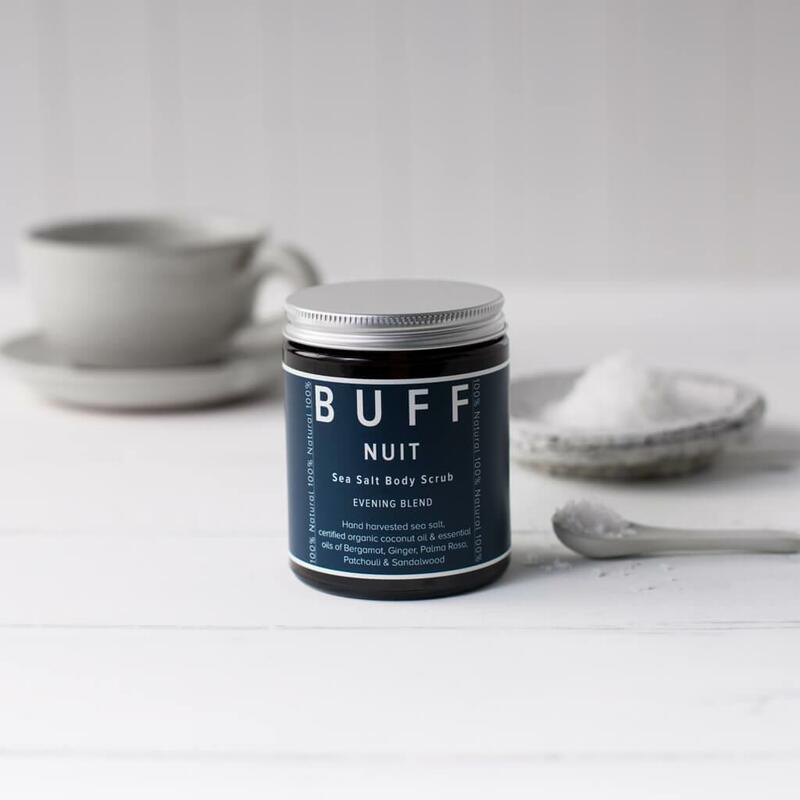 All the Buff products are handmade in small batches in Devon using high quality and cruelty-free ingredients. With every sale, Buff also supports The Marine Conservation Society & Surfers Against Sewage to help protect our oceans from plastic pollution. Delivery Packaging - Cardboard & paper.